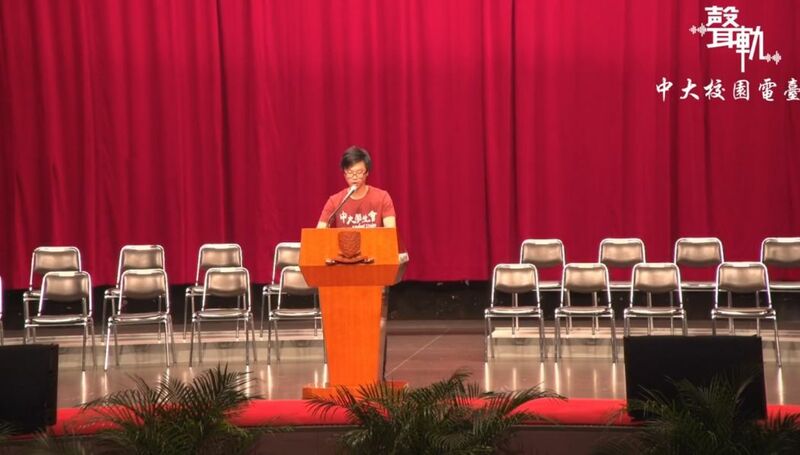 Education Secretary Kevin Yeung has reiterated his disapproval of pro-independence talk as student leaders made reference to the controversial topic in their speeches marking the start of the school year. On Monday, Yeung hit back at a pro-independence speech made by the Education University’s student union president at the school’s welcome ceremony last week. Au Cheuk-hei, Student Union president at the Chinese University of Hong Kong (CUHK), speaking at the university’s opening ceremony. Photo: CUHK. “On the topic of Hong Kong independence, there is only one clear result of that discussion. It is that independence is not feasible in Hong Kong,” he added. Even so, the topic arose at the Chinese University of Hong Kong’s inauguration ceremony on Monday. 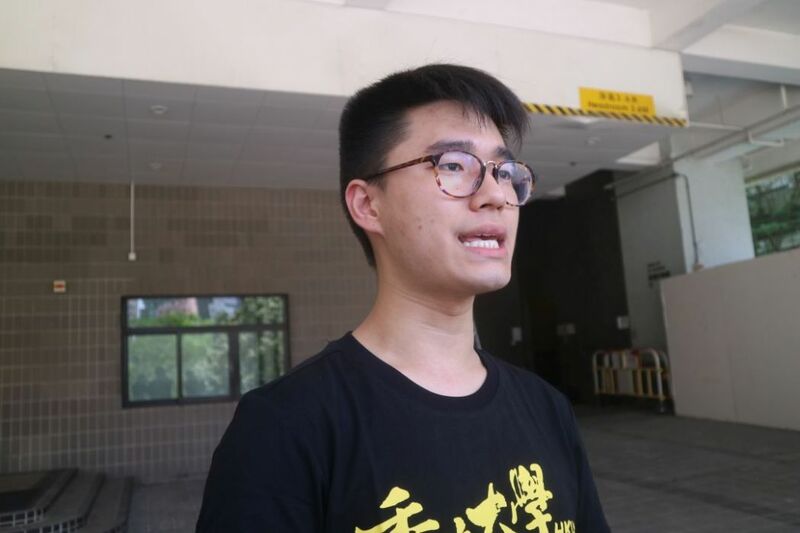 In his address to undergrads, CUHK student union president Au Cheuk-hei mentioned an incident last September in which pro-independence banners appeared at CUHK, as well as other university campuses around Hong Kong. This led to a high-profile battle between student unions and school authorities over whether discussion of the topic should be permitted on campus. The banners prompted condemnation from Chief Executive Carrie Lam. 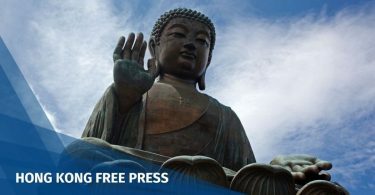 Ten university heads also published a joint statement condemning “abuses” of free expression on campus and calling Hong Kong independence unconstitutional. 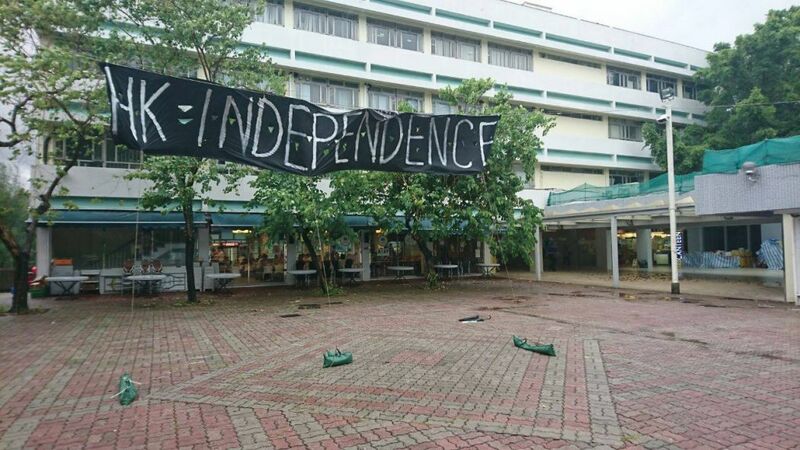 Hong Kong independence banner at CUHK last year. Photo: CUHK secrets. Au told reporters before the assembly on Monday that he hoped the school would permit open discussion and respect students’ freedom of speech if similar incidents were to arise again. 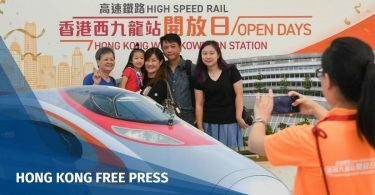 Pro-independence student activist group Studentlocalism said on Saturday that two of its members’ relatives were “warned” by mainland authorities to stop the activists from participating in political activities in Hong Kong.